There are many questions that have been answered with the legalization of recreational marijuana in California. What? Proposition 64 was approved by voters and made legal adult-use marijuana. Who? Residents 21 years or older. When? As of Jan. 1, 2018. Where? Now, that’s a trickier matter. Firstly, the state law did not automatically go into effect everywhere. From county to county, city to city, local governments have been making decisions about whether to maintain a ban on recreational cannabis or to legalize and set up regulations. Some of the big cities, like Los Angeles, San Francisco and San Diego have permitted recreational sales. Some areas, like Orange County, cultivation is allowed with restrictions, but manufacturing and retail are banned. 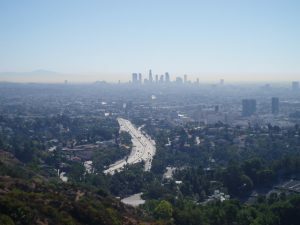 Los Angeles took a different route, allowing retail but not cultivation or manufacturing. Other counties, like San Bernadino, don’t permit any recreational cannabis activity. The confusion intensifies when you put a magnifying glass to one of those regions. Take Los Angeles for example, where the city is still ironing out where businesses are allowed to set up shop. Leaders have already agreed that marijuana retailers should not be within 700 feet of schools or public parks, also known as “sensitive use” locations. But the debate is still boiling as to what constitutes a “sensitive use” location, according to a report from KPCC, Southern California Public Radio. Some council members have looked at areas where families and children congregate and have proposed adding extra restrictions to prevent marijuana businesses from opening nearby. While this in itself doesn’t seem unreasonable to most, the terms used to identify these regions can be too broad. In particular, city council added areas zoned as “open spaces” to the restricted locations, primarily with the intention of keeping cannabis retailers out of the LA River area. But in doing so, the council unwittingly also excluded streets with traffic medians, which all fall under open space zoning. Advocates concede to having a buffer zone for the LA River, but point out that applying restrictions too broadly is unnecessary. One group has reached out requesting medians be removed from open space zoning. But while our law firm is pleased to see the city working so hard to cooperate with cannabis businesses and make room for them in the city, it does make it clear that council needs to be more considerate when making these rules. Especially with more restrictions possibly on the way. Council is currently considering creating buffers between parks in other cities that are near the Los Angeles border. Our trusted cannabis business attorneys in Los Angeles know there are growing pains when introducing a new industry and all of its regulations into a city. We also know some of these regulations are a bit overly cautious, trying to ease the fears of those who are still hung up on myths about marijuana and marijuana users. Marijuana business owners want to comply with reasonable laws, but shouldn’t have to try to hit a moving target. If you’re setting up your marijuana retail shop in Los Angeles, our lawyers have the experience to help you establish yourself while navigating local and state restrictions.